Your best ally during a home inspection is a licensed, professional home inspector who will conduct a detailed, in-depth inspection. You can gather recommendations, search online and look for reviews, or use resources such as Zillow’s Agent Finder Tool. Once you’ve found a potential inspector, ask them for a sample report so you can get an idea of their process and see if they can provide a thorough analysis. On inspection day, you and your agent should be present during the entire process. The seller’s agent will likely be there as well to address any possible questions asked by the inspector. Remember to set aside the entire morning or afternoon in your schedule, as a home inspection can take up some time – you want to avoid rushing through it. Lot – Check the distance of the drainage from the house, and look for damp or soggy areas. Odor – If any unusual odors are present in the home, find out if you can identify the source and if there is any solution. Musty odors can be a sign of leaks, a wet basement, or other damp areas within the property. 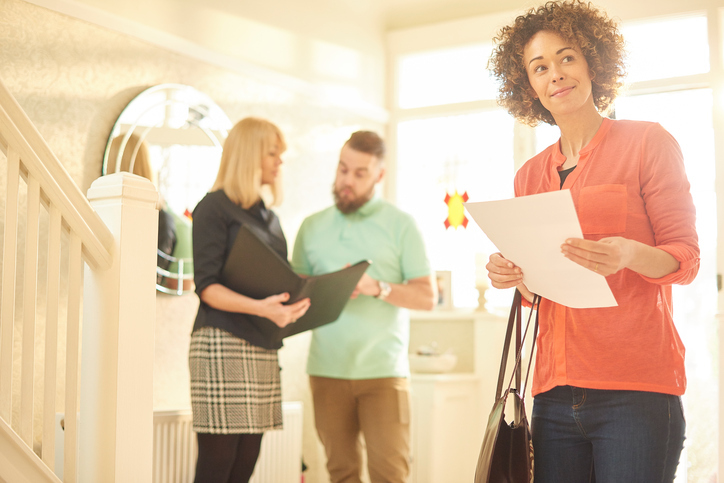 If you’re seeking more advice like this for inspecting that new property on the block, trust an expert who will guide you right through the process. You may easily get in touch with me by calling 770-851-7638 or sending an email to [email protected].